Not a fan of unlocking your phone every time you pay for something with your phone? It’s probably even more annoying when you’re walking through a train station. Last year, NSW Transport added the ability for Sydneysiders and folks in NSW to use their phones with debit and credit cards attached as an Opal mechanism, and it comes off the back of debit and credit cards being used, too. However, just like all mobile payments solutions, they had to unlock their devices to do so, meaning if you wanted to use your phone to let you through a train station turnstile, you possibly needed your fingerprint or face to let the phone do it. But if you have a Samsung phone or wearable this week and are actively using Samsung Pay, that stops now, as an update arrives to make the technology allow a tap-on without unlocking or waking the phone. “Samsung is investing in delivering cutting-edge solutions for Samsung Pay to help provide customers with maximum convenience and security for their mobile wallet. As a first step, we are rolling out this technology to work with the Opal system in NSW,” said Mark Hodgson, Head of Samsung Pay in Australia. 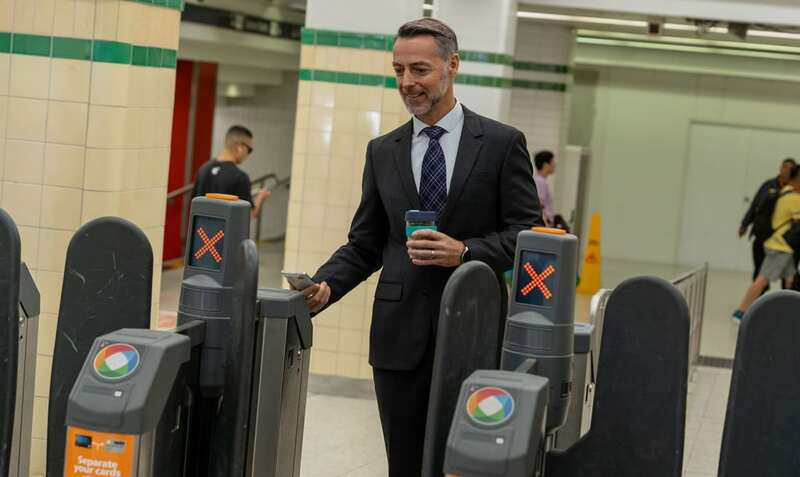 “We worked with Transport for NSW to build a solution that is designed to offer a seamless experience for people choosing to use Samsung Pay when commuting across the NSW Opal network,” he said. 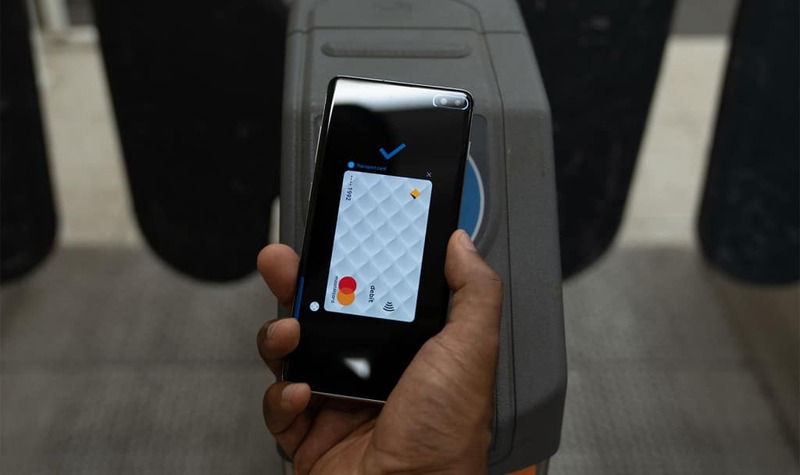 One thing worth pointing out from this announcement, which seems especially evident from the photos, is that Samsung Pay’s support of NSW Opal doesn’t seem to be of the Opal card itself. Rather, it seems to pull from a credit or debit card, which makes it an extension of the updates from last March and November that saw debit and credit cards followed by mobile payment solutions work on Opal terminals for trains and ferries, but not working from your actual Opal card. While we’re waiting for Opal cards to allow something like Samsung Pay, Google Pay, or Apple Pay to add the actual Opal card to its service listing, this is at the very least a handy addition, especially for tourists and folks from out of town who may not see the benefit in buying an Opal card just for getting around. Samsung’s addition means you not only don’t have to buy a card, you also don’t have to wake your phone, which may speed up how long you’re stuck behind someone in line trying to get through to train or ferry. Buses are still the limitation, mind you, and much like last year’s announcement of the technology supporting phones, Opal terminals still won’t handle phones or non-Opal cards on buses, which means if you’re planning on using a bus to get around Sydney, you’ll still need to buy an Opal regardless.